This gorgeous, easy cake is wonderful for holidays! First, preheat oven to 350 and line a 9″ spring-form pan lined with parchment paper (place a round piece on the bottom and a long strip along the sides). Finely grind the sandwich cookies, lady fingers, and espresso powder in a food processor. Add melted butter and pulse until fully mixed. Press mixture down onto the parchment on the bottom of the spring-form pan. Beat 32 oz. of the cream cheese, butter and sugar in an electric mixer until smooth. Stop mixing a few times to scrape down the sides . Add 6 T of the prepared espresso, vanilla extract, and then flour, scraping down as needed. Pour half of the cheesecake mixture onto the crust in the spring-form pan. Dip the lady finger cookies in the remaining espresso and line them up to form a single layer over the cheesecake mixture, cutting to shape as necessary. Pour the remaining cheesecake mixture on top. Place in water bath – use cake pan under spring-form pan (to keep water out) inside large, deep pan filled partway with warm water. Bake for 50-60 minutes at 320 degrees. The middle of the cheesecake will still be a little jiggly. Turn the oven off and let the cheesecake reduce temp in the oven for 45 minutes. Remove it from the oven and let it fully cool on a counter top. Beat the heavy whipping cream until stiff peaks form. Chill in refrigerator while preparing the remaining ingredients. In a separate bowl, beat the remaining cream cheese, milk, and pudding mix until completely smooth. Stir the chilled whipped cream into the cream cheese mixture until it is fully combined. Place mixture into a piping bag with a large tip, such as Wilton 2A, and then decorate the top of the cheesecake. 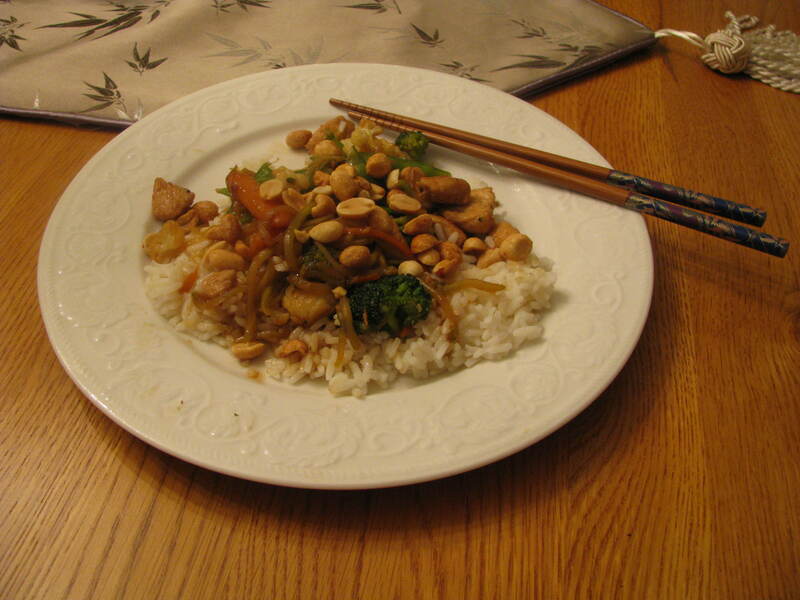 Royal Recipes Collection: Simple, Sensational Stir-Fry! My hubby loves sampling different types of foods on his business trips around the world. 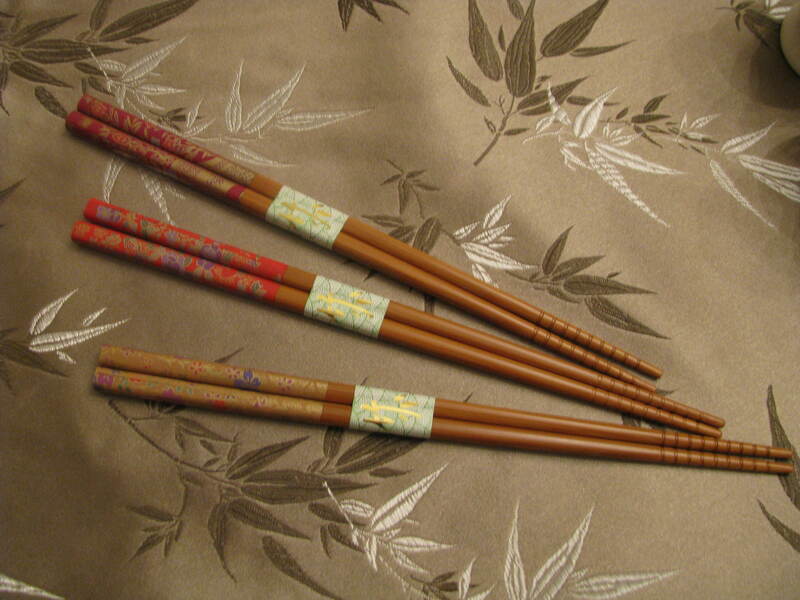 In my Crestmere Series novels, Marsten and Reishel know a good bit about Oriental cooking from their time spent learning martial arts in the east. 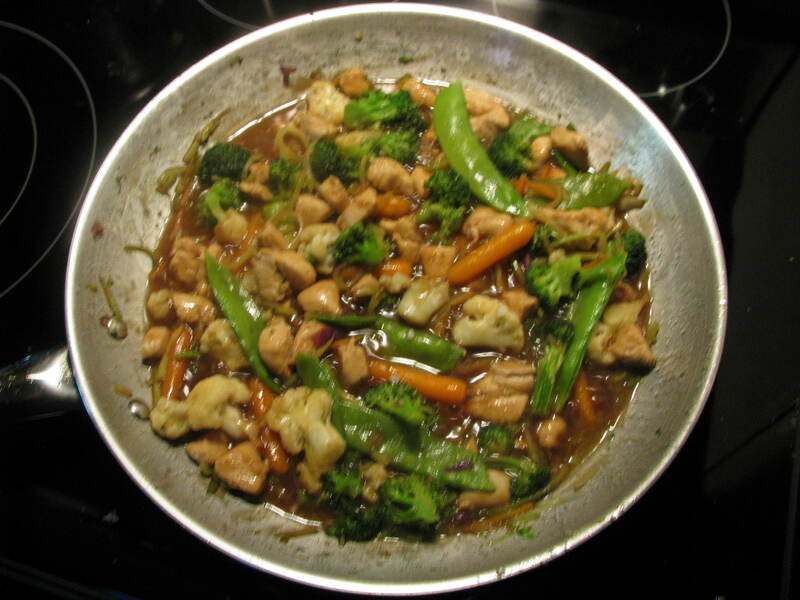 Here’s my easiest, healthy stir-fry recipe we enjoy often. 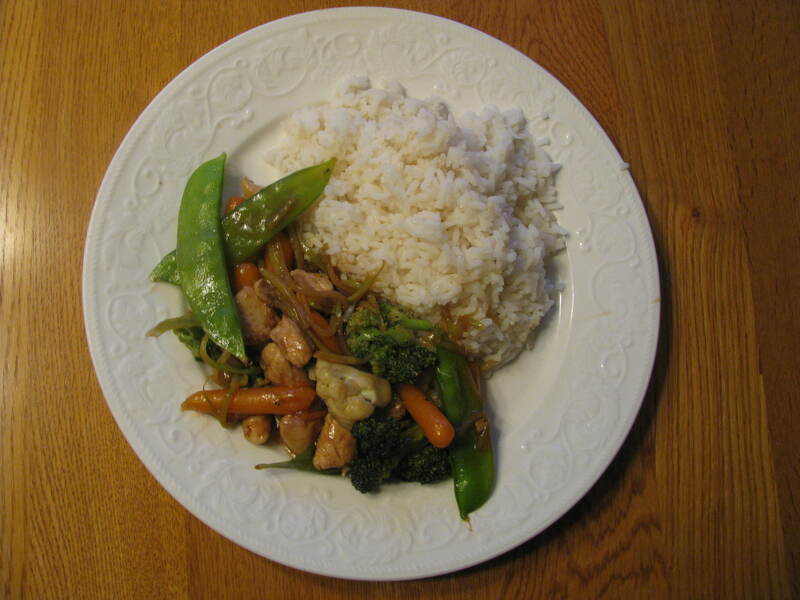 -Cooked rice – we like either brown or long-grain rice steamed in our Aroma rice cooker from Costco. 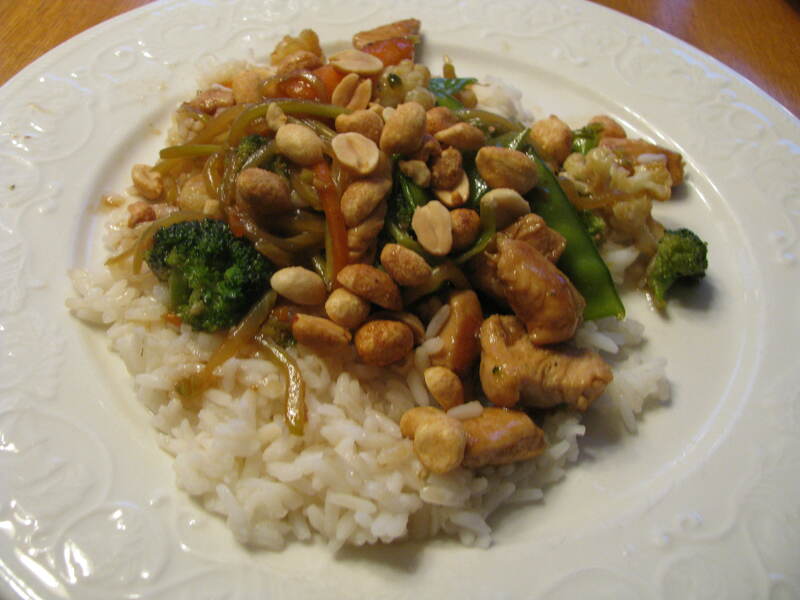 -Oil – peanut tastes nice with stir-fry, but others are fine too. -Salt, pepper, dash of ginger. 1. 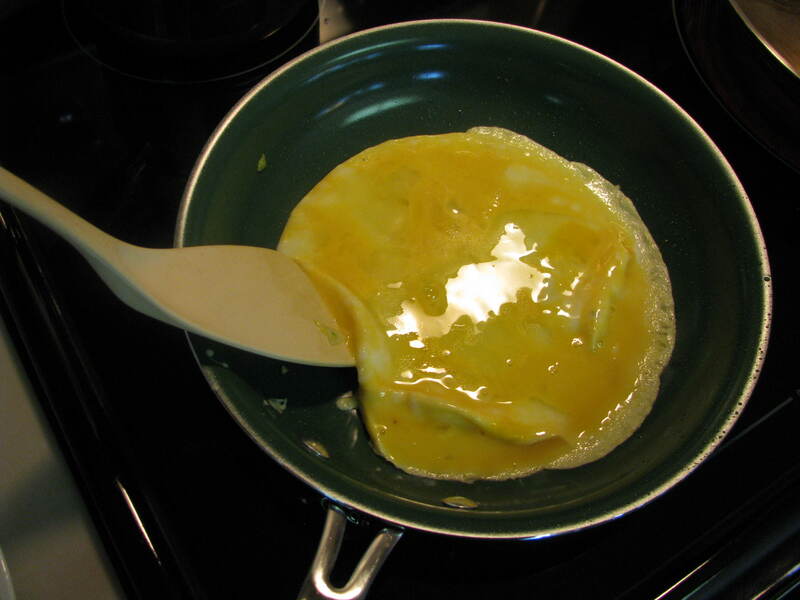 Heat oil over medium heat in a wok or large skillet. 2. 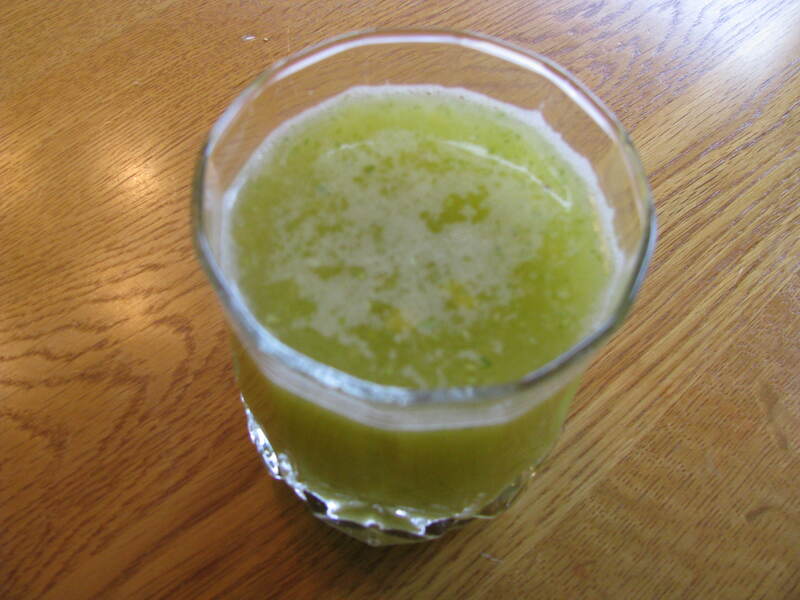 Dissolve Better than Bouillon into the hot water. Add last three ingredients and stir with a fork to break lumps. Set aside. 3. Spoon the meat pieces into the skillet and stir until lightly browned (cut a piece to make sure it’s cooked inside), then remove to a bowl. Don’t overcook! You’ll cook them more later. 2. 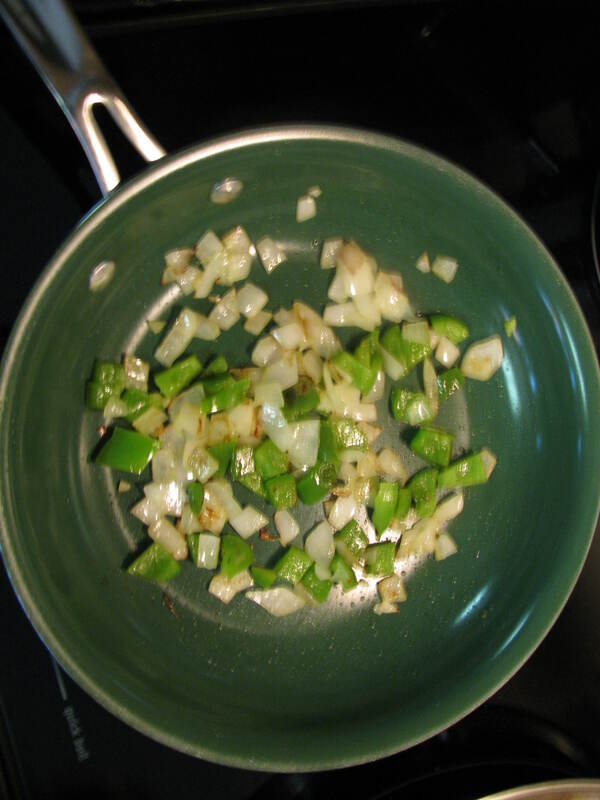 Add more oil to the skillet, increase heat to medium-high, and toss in the vegetables. Season with salt, pepper, and ginger. Carrots and other tough veggies take a bit longer to cook than the soft ones, so you may wish to add these first. Stir-fry for a few minutes. They should be lightly browned, but still a little crisp. 3. Return the meat pieces to the mixture and stir until it reaches desired doneness. 5. Now add the bouillion mixture and stir briefly. It will thicken quickly. Remove from heat. 6. 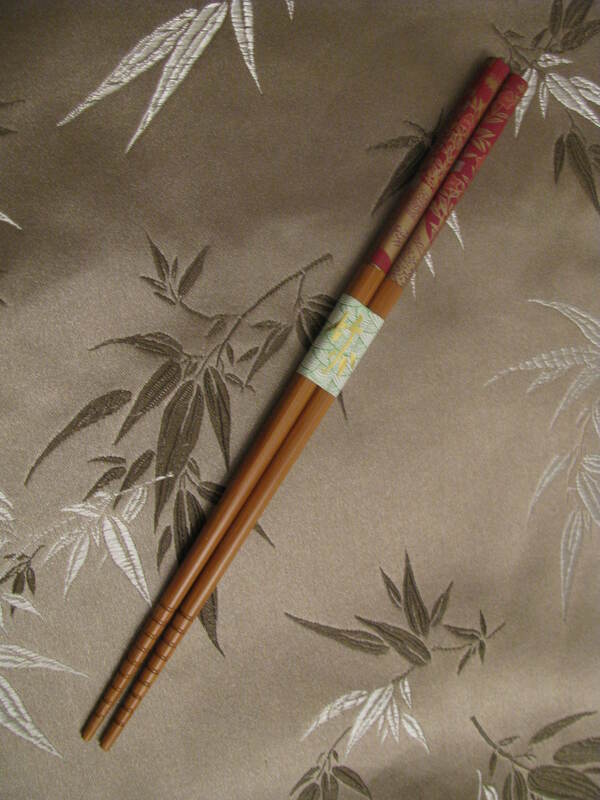 Spoon over rice and enjoy with some nice plum wine or saki and pretty chopsticks! “Help thy brother’s boat across, and lo! 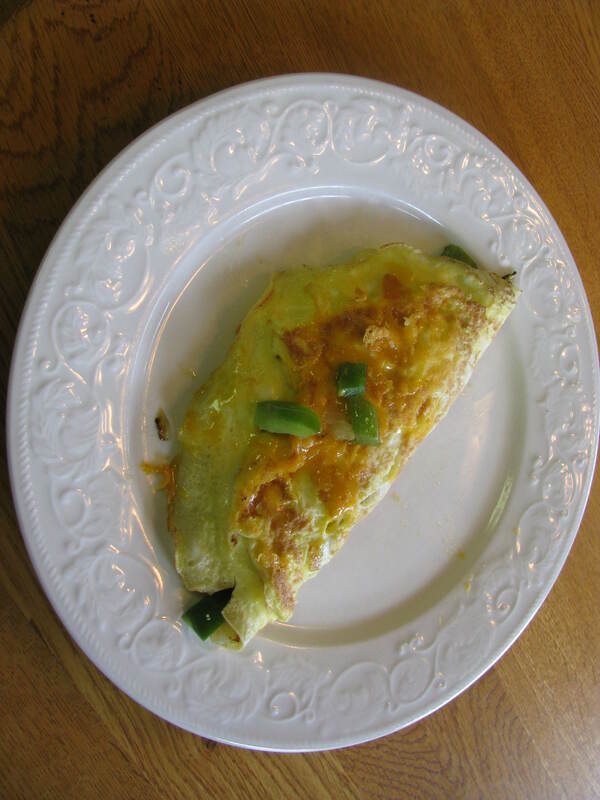 I used to think omelettes were too complicated (of the “Do not attempt this at home!” variety), but after watching a number of experts at wonderful places like Biltmore Estate and Hilton Head resorts, I’ve learned a few tricks to make it simple and fun. In Amberly, Marsten likes to whip these up at Crestmere. 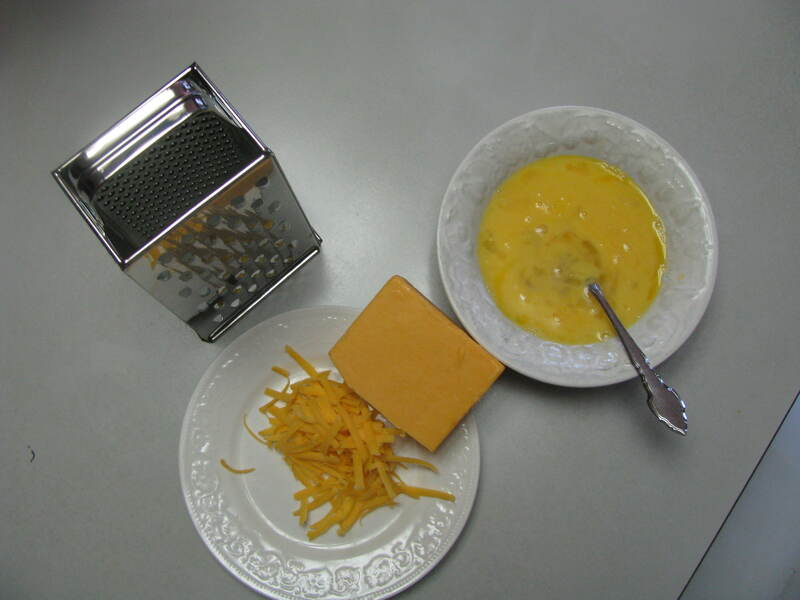 – ½ cup shredded cheese (I like shredded NY Sharp Cheddar). Feta’s nice too (with spinach! ), or jack cheeses. 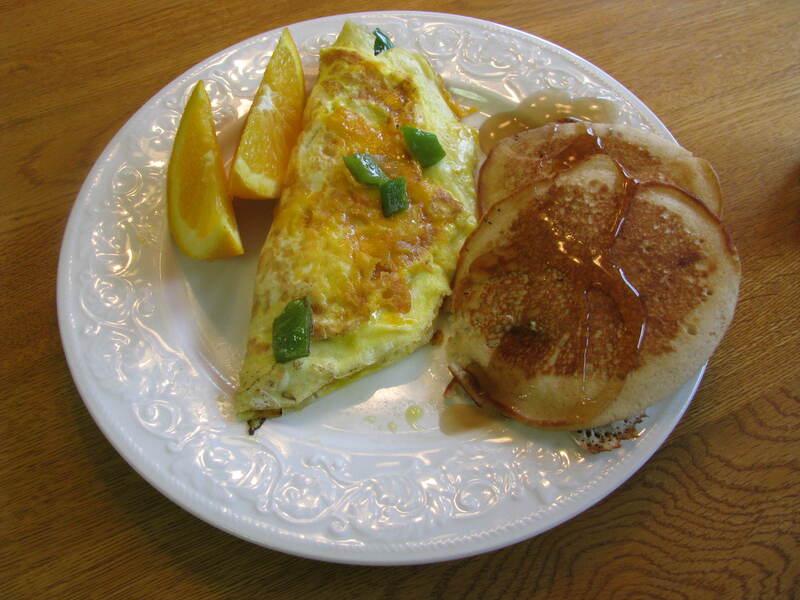 Method: First, cut up some fresh fruit, squeeze a few oranges for juice, and start some fine coffee brewing, so you don’t have to do this later when your omelette is ready. They cook fast. 🙂 I like dark roast coffee blends like Starbucks Verona or Gevalia Espresso Roast. Mmmm! 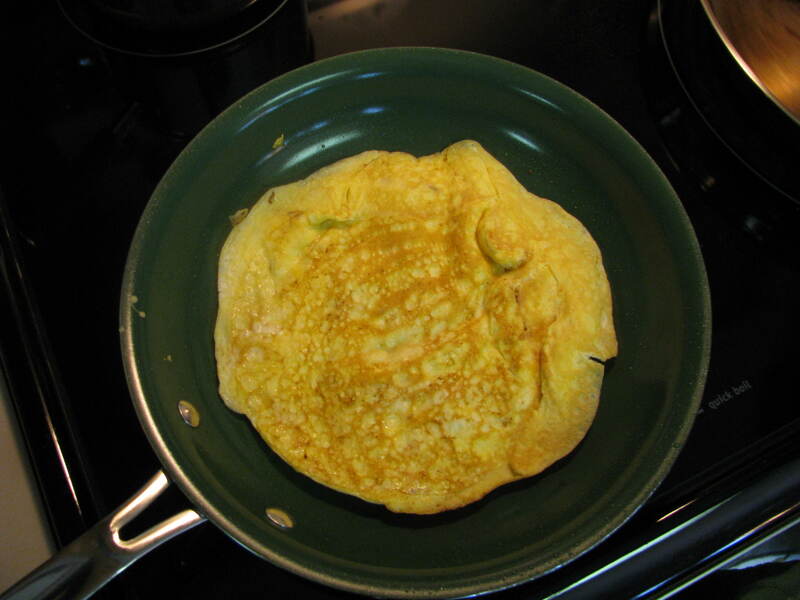 Next, heat a good omelette pan (I like the green ceramic kind) on medium-high with the oil or butter. Beat the eggs, milk and salt. 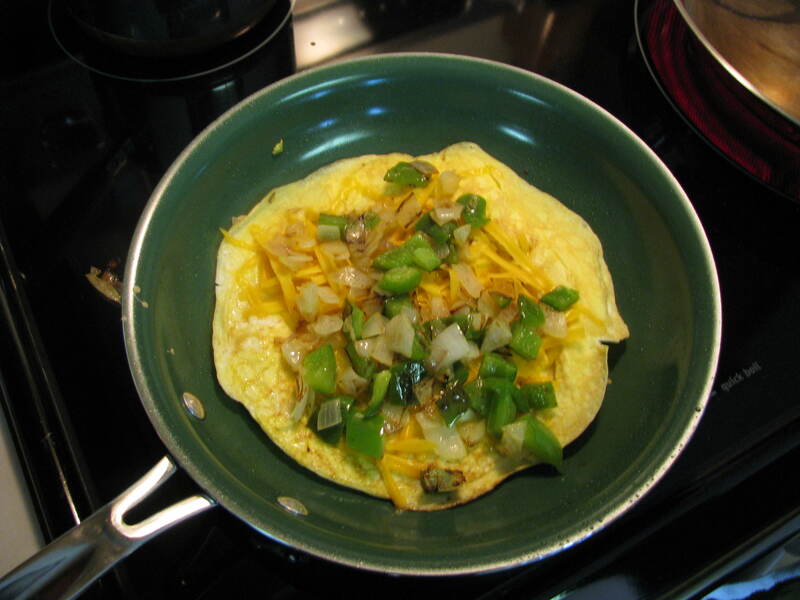 Trick # 1: Tilt the pan and lift the edges to drain excess liquid from the top (this allows the omelette to cook evenly). Trick # 2: Flip it over. Now sprinkle the fillings on top. Reserve a little cheese. 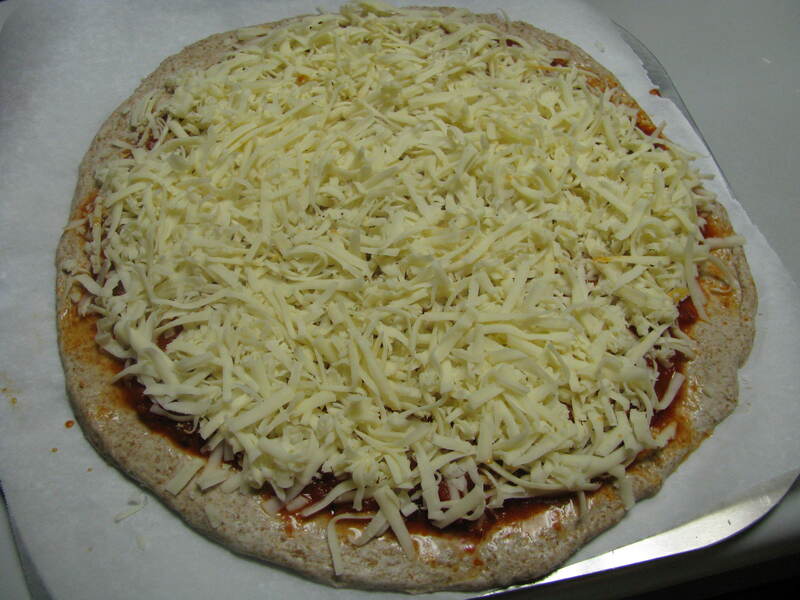 Reduce temp to low, cook to finish on one side, then flip to the other and sprinkle the rest of the cheese on top. 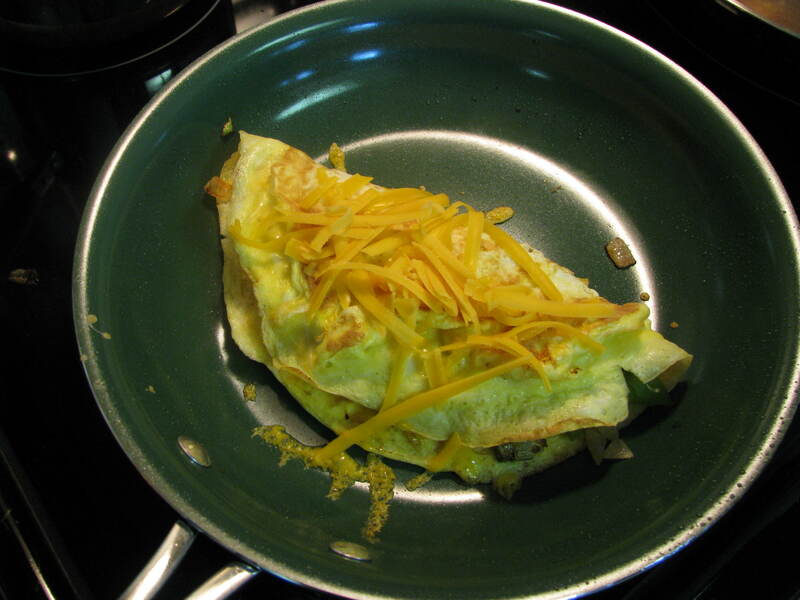 A perfect omelette! Très simple. Mixer Method: Mix warm water, yeast, and sugar until sudsy on medium-high speed in a Kitchen Aid or other dough-capable mixer, using a normal mixer attachment. Then reduce to medium-low speed. Switch to dough hook. Add 2.5 cups flour, oil, salt, and seasonings, then mix together until a ball forms, adding more flour by the half-cup as needed. Once it’s neither dry or sticky (sticky is better than dry), knead on medium-low speed for 7 minutes. Hand Method: Mix warm water, yeast, and sugar then stir, allowing it to foam up. Place the dry ingredients in a bowl and make a well. Add the liquid, oil, salt, and seasonings. Mix together to form a ball. Knead for a good 10-20 minutes. Kneading is complete when the dough is smooth and elastic. Cover the bowl with an oiled sheet of plastic wrap. Note: A plastic bowl can be covered with wrap if the sides are wet first with water. Let the dough rest until it doubles in size, at least one hour. Don’t punch and roll again, or it will fluff up like bread dough. 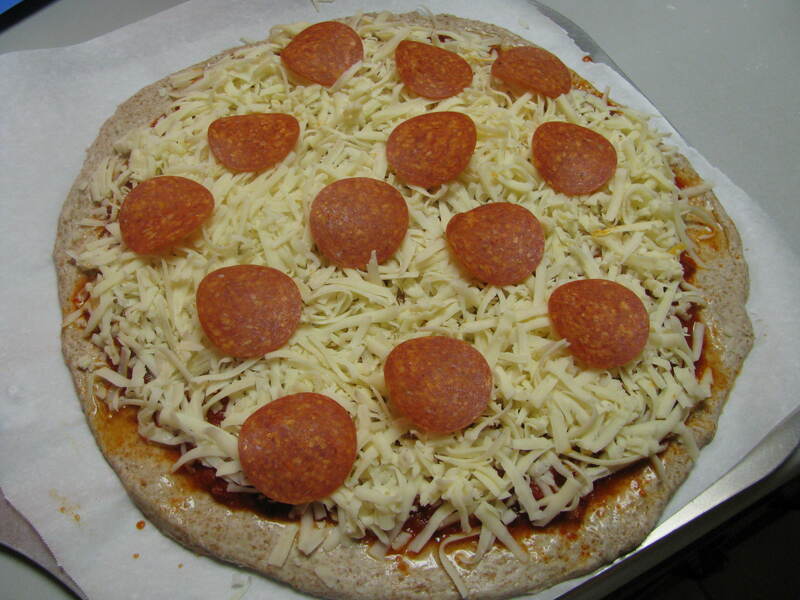 If using a pizza stone, place in oven to preheat at 450 degrees at least 30 minutes before baking. Move dough to a floured counter and divide in half. If you like, oil one of the dough balls and freeze in a freezer ziplock bag. Keeps for up to 3 months. Stretching: Either roll dough into circles of your desired thickness with a rolling pin on a floured surface or use the dimpling method to stretch – form the dough balls into fat circles and let sit for a minute. Dimple with your fingers from the inside out, turning the dough as you go. When the dough reaches half the size you want it to be, start stretching it out by using one fist underneath and one hand to turn it: This is similar to the professional method used in pizza parlors only a lot slower and done on the counter instead of tossing it up in the air. If the dough gets tough and doesn’t want to stretch, allow to rest for a few minutes. 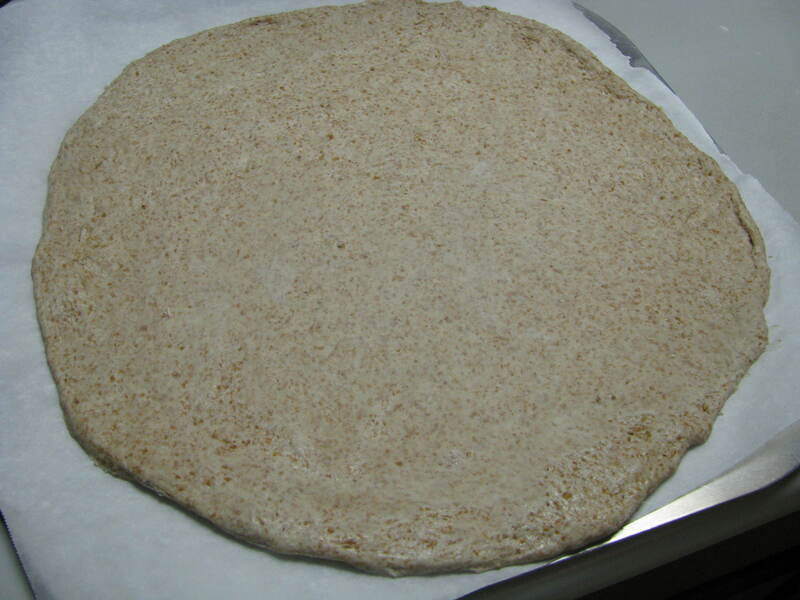 Baking: Transfer dough to a piece of baking parchment on top of a paddle (pizza peel) or pizza pan. Add toppings. My family likes homemade marinara, shredded whole milk mozzarella, chopped vegetables roasted quickly in olive oil (while the pizza stone is heating – or sautéed in a pan), garlic, and fresh basil leaves. 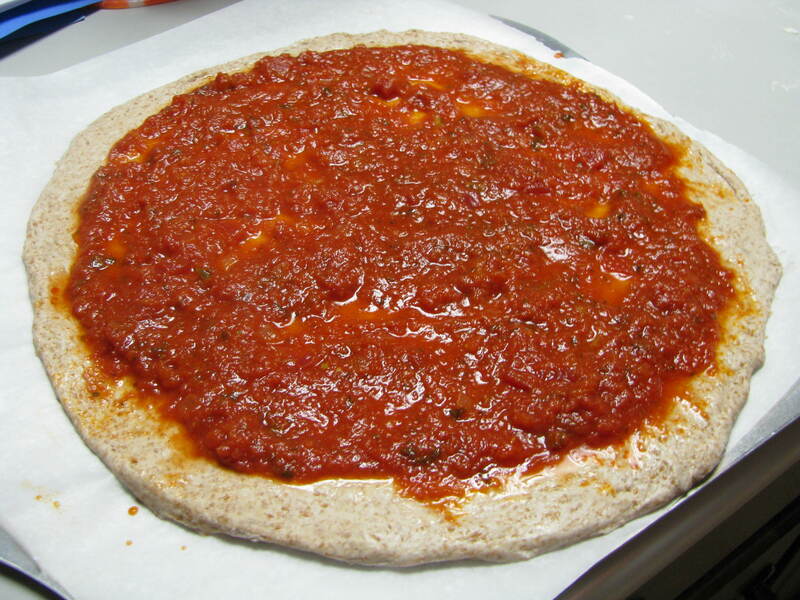 When ready to bake, slide pizza with parchment onto the stone in the oven, place in a pan and set on the center rack if not using a stone. Be careful not to burn your hands! Check oven frequently. Depending on the thickness, it should bake nicely in 5 to 12 minutes. 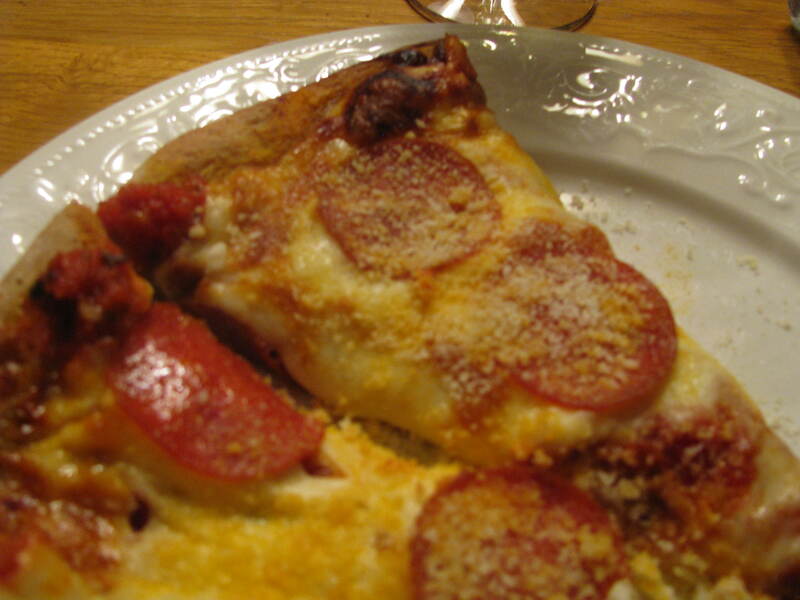 Wait till crust is golden-brown and cheese on top is bubbly. 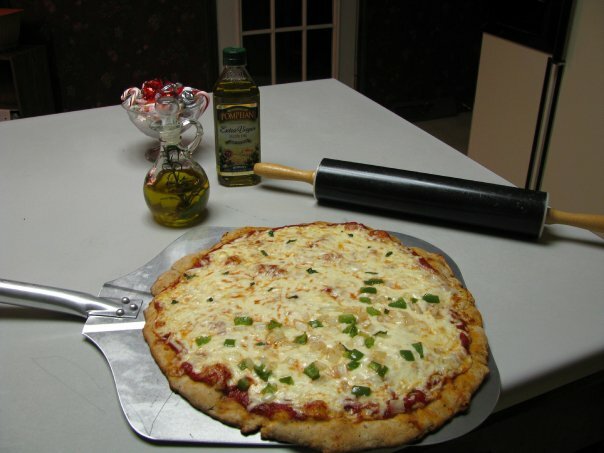 Then use paddle to remove from oven and place on a large baking pan for slicing. For an elegant touch, serve with freshly shredded parmagiano reggiano and basil infused olive oil. Bon appétit! 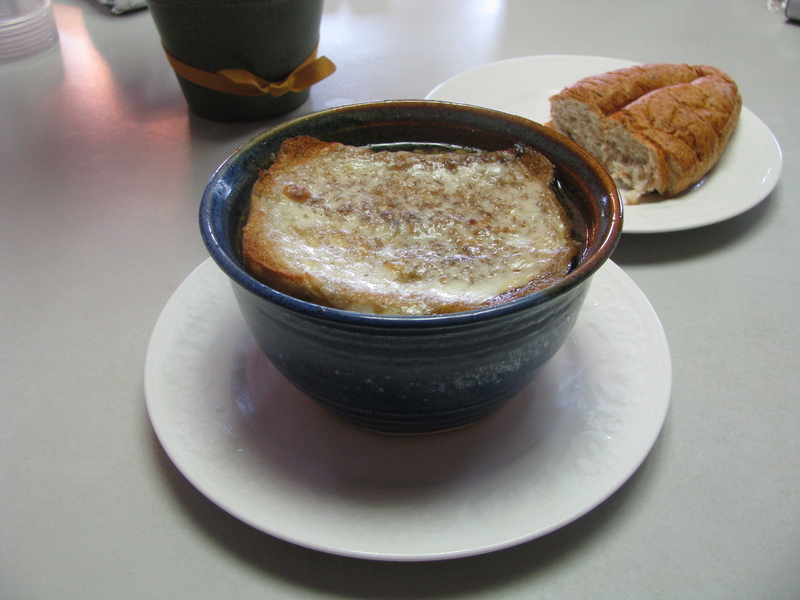 Royal Recipes Collection: Onion Soup Provençal – Perfect For a Chilly Winter Evening! From the upcoming sequel to Amberly – a perfect treat for a chilly winter night’s supper – or anytime you have extra onions around! 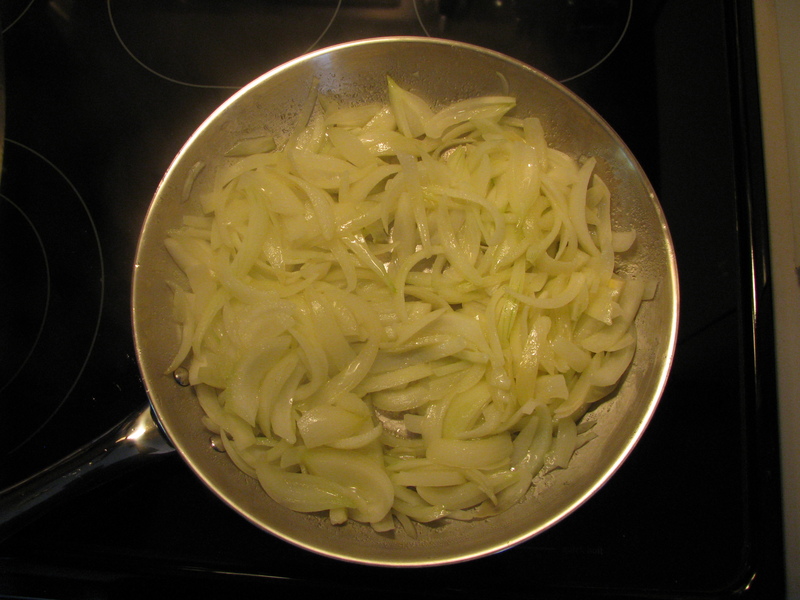 5 – 6 onions, peeled and sliced into thin strips. 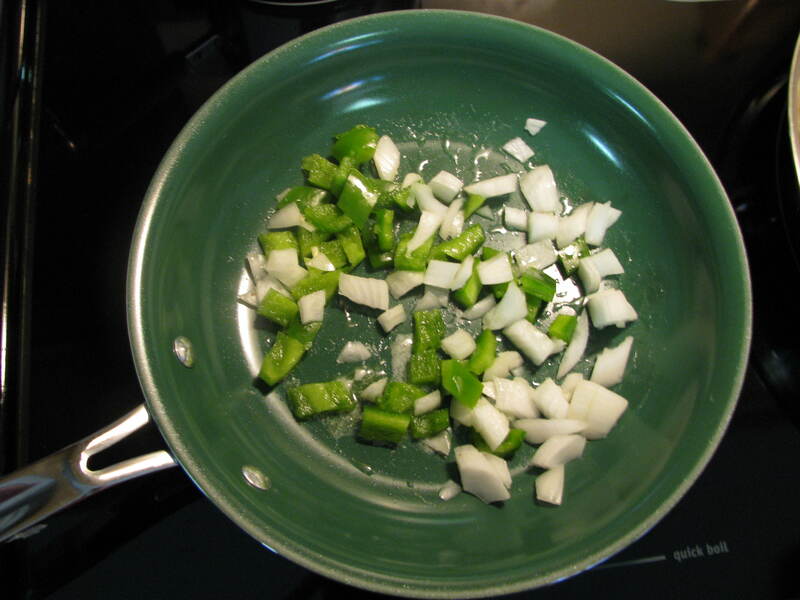 Step 1 – In a mid-sized crock or stock pot, sauté the onions in olive oil until well browned and soft, about 30 minutes. 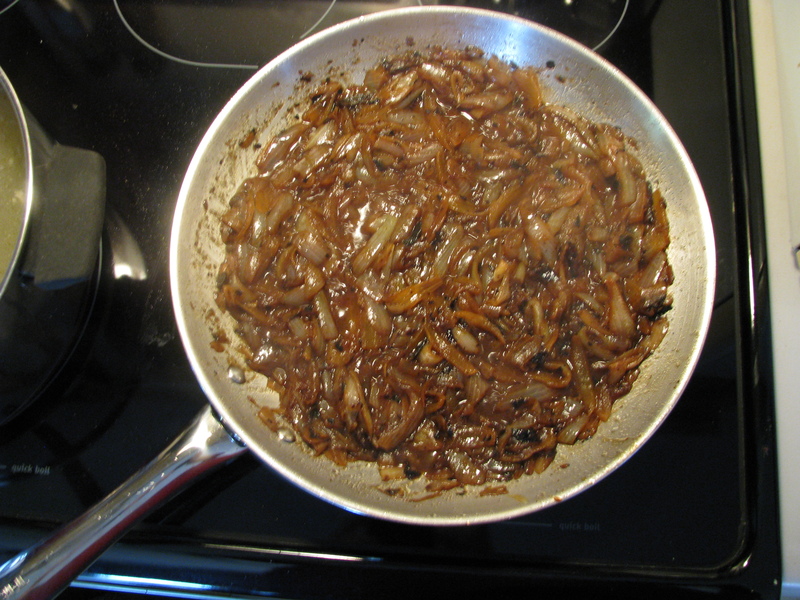 Add the sugar now to help the onions carmelize. Step 2 – Add the minced garlic and sauté for 1 more minute. Add the broth, wine, thyme, and bay leaf. 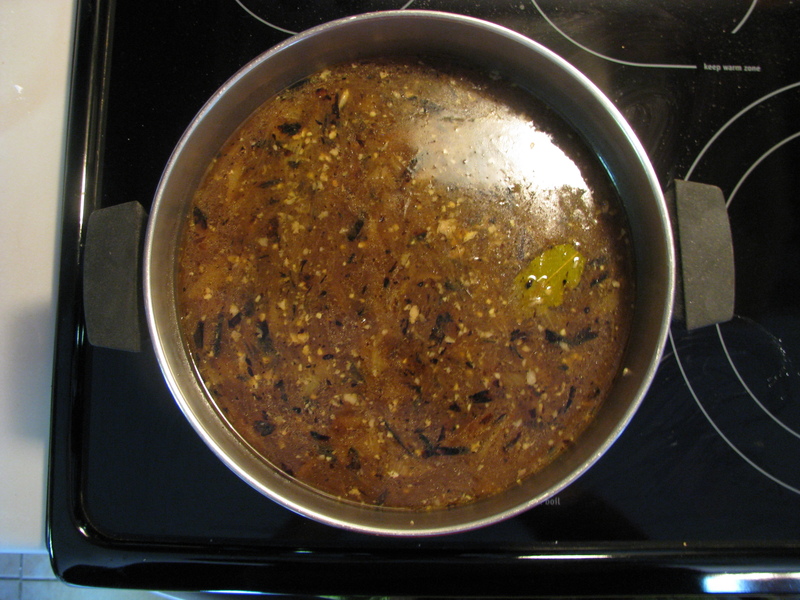 Cover, stirring occasionally, and simmer for 20 – 30 minutes. Sprinkle as desired with salt and pepper. Remove the bay leaf. 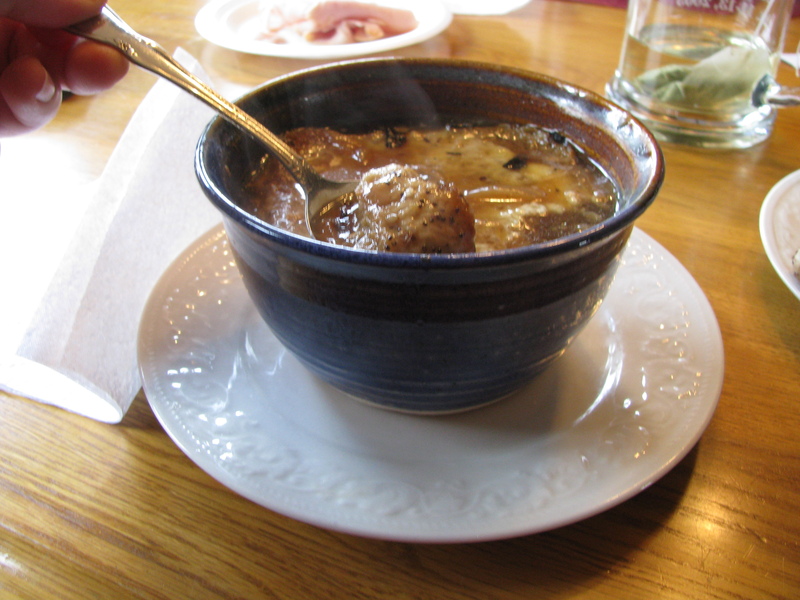 Step 3 – Ladle the soup into oven-proof soup bowls bowls. Cover each with a slice of toasted bread and then top with a slice of cheese. 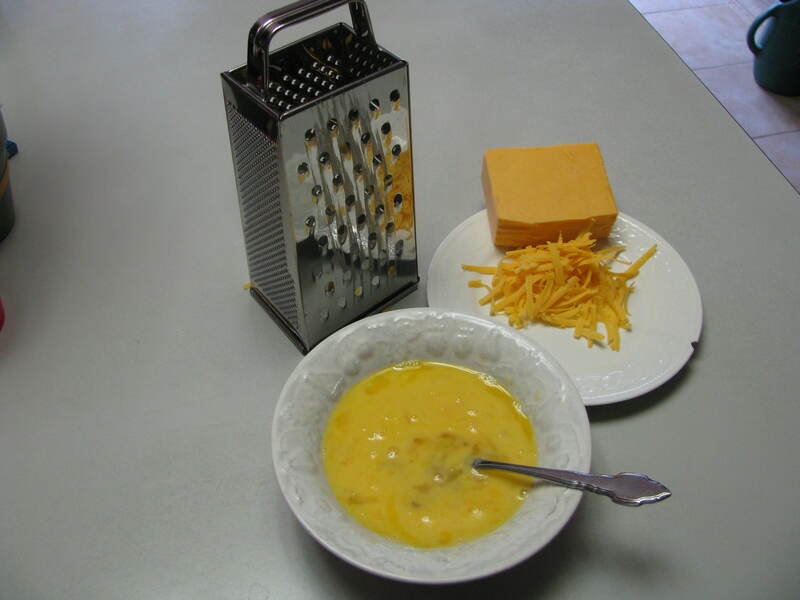 Broil for 5 – 10 minutes at 400 degrees F (watch with care), until the cheese turns golden and bubbly. Serve with a rich red wine and some warm conversation. In a large mixing bowl, toss the beef with the flour so it’s thoroughly coated. 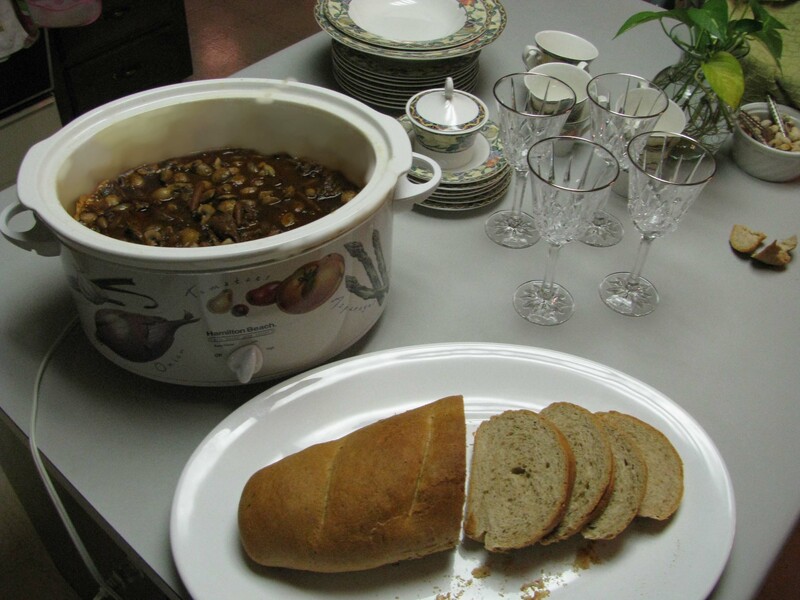 Lightly coat the inside of your crock pot with butter, then add the beef, carrots, onions, mushrooms, and garlic. Dredging the beef with flour retains moisture and enhances flavor during the simmering process. Whisk together the beef broth, wine, tomato paste, salt, pepper, thyme, and rosemary and pour over the beef pieces. Cover and cook on low for 8 – 10 hours. Excellent served with mashed potatoes. Sprinkle with fresh, chopped parsley, and serve with a rich red wine. Bon appetit! 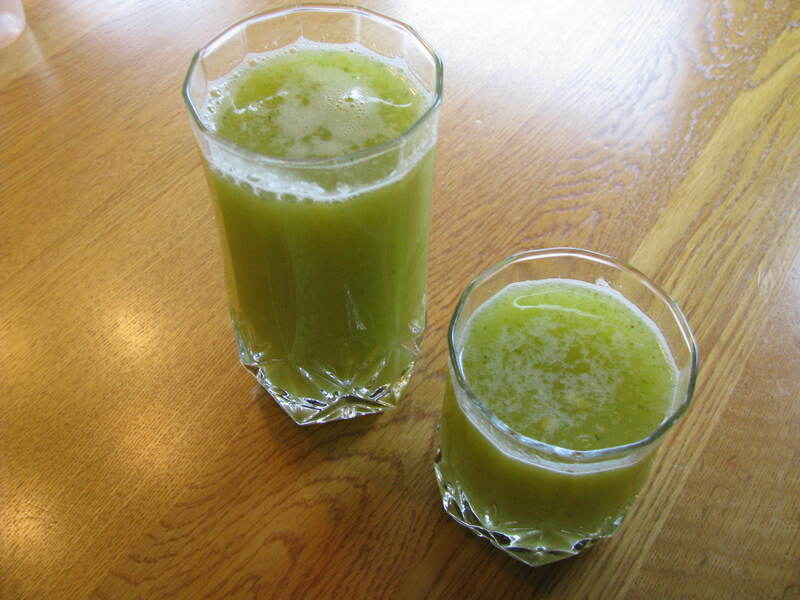 This is a modernized (i.e., made with a blender ) version of the Green Slurry from Amberly, Chapter 36. Very healthy. Enjoy! Blend up and serve! Add a Tbsp of almond butter for a meal replacement. Make several pitchers worth and store in a Mason jar for up to 24 hrs!